The compression ratio is a parameter of vital importance for the functioning of any engine; we will explain you in a few lines what it consists in, to better understand the engine functioning. It corresponds to the ratio between the sucked gas volume at disposal when the piston is in the low dead point and the sucked gas volume at disposal when the piston is in the high dead point. At equal displacements, to a higher volume of the compression ratio corresponds a combustion chamber with less value. It means that a high compression ratio value brings to higher pressures inside the combustion chamber therefore to a stronger thrust on the piston at the combustion time. Obviously everything has a limit and also in this case there are some values we must respect not to damage the engine; when the pressure of the air/petrol mixture oversteps this limit, the combustion is no more caused from the plug ignition spark but from a spontaneous and uncontrollable sparking caused from the high pressure and temperature, which could also bring to the fusion of the piston top. 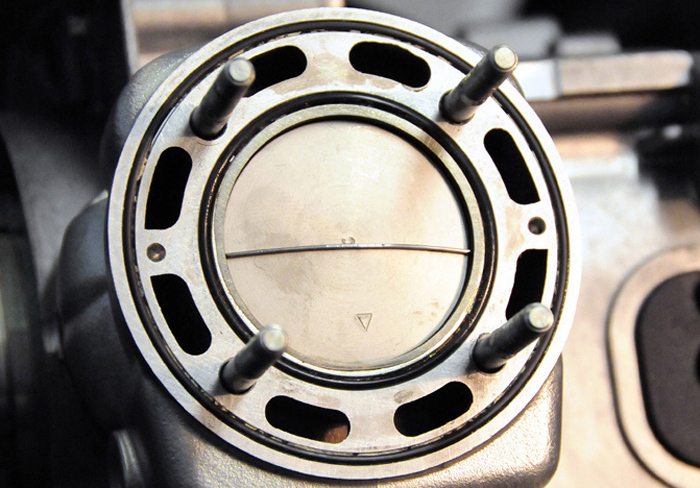 Another important value connected to the combustion chamber is the distance between the piston top at the high dead point and the combustion chamber edge. The gases turbulence there is in the combustion chamber is strictly connected with this value and exactly for the effect it has on the gases this distance is called “SQUISH”. These controls have big importance and to execute them, besides the usual workshop equipment, you need a buret with 0,1 cc graduations filled with anti-freezing fluid for radiators and a tin wire with 1 – 1,5 mm diameter. 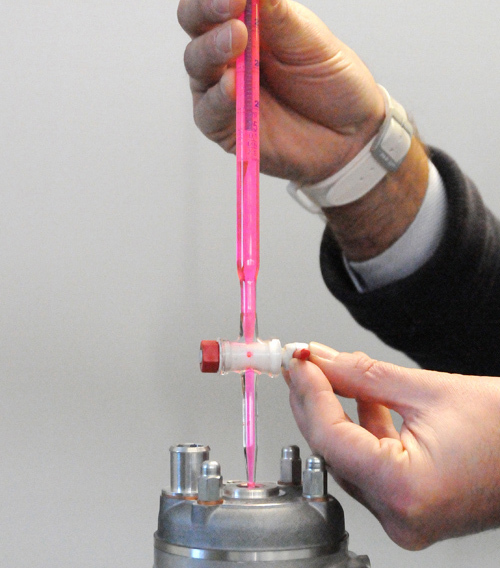 To measure the volume of the combustion chamber, position the engine with the cylinder in vertical position, bring the piston at the high dead point and fill the combustion chamber with the anti-freezing fluid through the plug hole until it reaches the plug thread, let the fluid left in the buret rest for a short time, read the volume value on the buret. This value is not to be used in the compression ratio calculation formula as it includes also the plug thread volume. To measure the plug thread volume disassemble the head, grease the bearing surface of the plug, lay it on a surface sufficiently smooth (marble, glass) and fill the plug thread with the fluid up to the internal edge of the combustion chamber. Subtracting this value from the one measured before you obtain the volume value of the combustion chamber, which can be included into the compression ratio formula. Bore 47,6 mm. = Displacement 69,93 cc. Volume complete with thread : 7,4 cc. Plug Thread volume: 2,4 cc. 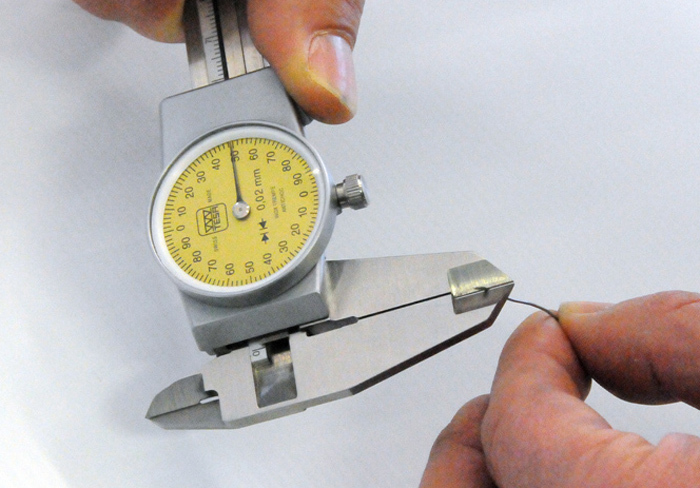 To obtain this measure it is necessary to disassemble the head and to place a tin wire of about 1 mm diameter inside the cylinder, on the piston pin axis and with a length slightly shorter than the bore. Then assemble the head and close the lock nuts. Turn the flywheel and make the piston reach the high dead point until the tin wire will be pressed on the head walls; repeat the operation a couple of times being sure the piston remains “astride” of the high dead point. Now disassemble the head and through a gauge measure the tin wire thickness at the pressed edges. The optimum Squish value changes according to the bike’s model, the tuning, the engine and the displacement. Because of the processing tolerances, you could notice different values which can be adjusted through the proper base cylinder set of seals with differentiated thickness. These measures can be found in the instructions of our kits.